These listings were compiled by DNAinfo's Queens reporters Katie Honan, Jeanmarie Evelly and Ewa Kern-Jedrychowska. Where:Queens Botanical Garden, 43-50 Main St., Flushing; Sunday parade takes place in Jackson Heights (37th Avenue, from 69th Street to 86th Street). The Colombian tradition of creating “Silletos” — large medallions constructed of flowers — will be on display at the Queens Botanical Garden this weekend. On Saturday, visitors will get to see various floral creations and Colombian band, Son Chande, will perform in the afternoon. Children can enjoy storytime and crafts from 2 p.m. to 3:30 p.m.
On Sunday, a parade featuring Colombian flower artists will march on 37th Avenue, from 69th Street to 86th Street in Jackson Heights. After the parade, participants are invited to the Queens Botanical Garden for a day of music and culture with musicians and artists, food and craft vendors, and a ticketed comedy show in the evening. Most events are free with garden admission ($2 for students, $4 for adults). On Saturday, the festival will run from 11 a.m. to 6 p.m. The parade on Sunday starts at 10 a.m. The quartet plays 1950s piano-based Latin fused with Cuban and modern jazz. The well-traveled group has played all over the world. The show starts at 9:30 p.m. and tickets are $7. Learn how animals disguise themselves in order to hide and survive in nature. The workshop will include live animal presentations and a nature walk on the grounds with experts from the Alley Pond Environmental Center. Weather permitting, the event will be held at the Maple Grove Lake, otherwise it will be held indoors at the center. The workshop will run from 2 to 4 p.m. $5 per family or free for members of the Friends of Maple Grove. For more information go to their website or call 347-878-6614. 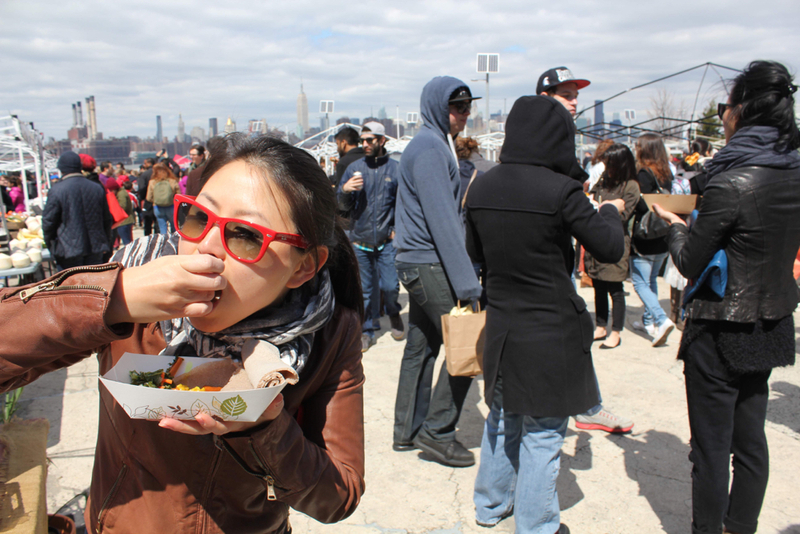 Enjoy delicious food from around the borough at Smorgasburg Queens, which opens this weekend. Brooklyn Flea’s popular food market will expand to a lot in Long Island City featuring some of the borough's best-known eats, like treats from Jackson Heights' Arepa Lady and Filipino restaurant Papa's Kitchen in Woodside. The market will run every Saturday from 11 a.m. to 6 p.m.
Astoria is getting its own record store. 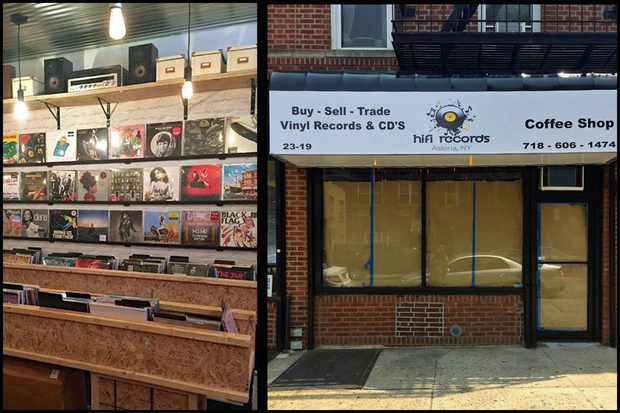 HiFi Records will open its doors Saturday, featuring a party co-hosted by local blog We Heart Astoria with food from local Turkish eatery Truva Café. The store's collection of new and used vinyl will be for sale, and the event will feature live music from several bands and a DJ. The party's free (more money for vinyl!) and runs from 2 to 6 p.m.
Take your kids to this bug-filled exhibit where they can hold a Madagascar hissing cockroach and make a bee mask. Bugs in a museum are much nicer than bugs in your apartment, after all. Admission is between $12 and $15 for the museum, which includes all other exhibits and playgrounds at NYSCI. Acapella doo-wop soul group The Tee Tones will perform popular Motown hits at the park. The free concert is sponsored by the Kupferberg Center for the Arts at Queens College and City Councilwoman Julissa Ferreras. The show begins at 5 p.m., and bring a chair or blanket to enjoy it comfortably. Watch The Tee Tones help cover this Miley Cyrus hit. Bring your dancing shoes for this event featuring music from Poland, including polkas, waltzes and polonaises played by the Glukh Polka Band. If the weather permits, the free event will be held in the garden, in case of rain inside the theater. The concert starts at 2 p.m. There will also be a free dance lesson at 1 p.m. For more information go to www.flushingtownhall.org. This festival celebrating Peruvian culture, presented in partnership with the 2015 Smithsonian Folklife Festival’s Perú: Pachamama program, is a family-friendly, hands-on event at the museum. There will be art workshops, interactive dance and theater shows. Learn the basics of tasting and evaluating wine at this introductory class, where you’ll get to sample an array of red and white wine and variety of cheeses. The perfect way to end the weekend! It costs $25 and includes all eats and drinks from 4 until 6 p.m. Check out their website for more information.